Tucked into the chain of islands forming the eastern end of the Caribbean, Martinique offers a taste of France in a tropical paradise. TVH visited the island in February 2017 for a weekend of sun, sand and snorkeling! To get started on your own trip plan, fill out our trip request survey! With direct flights from Baltimore into Fort-de-France, reaching Martinique was a cinch. We rented a car from the airport (Jeff got some more practice driving manual), and drove south to our Airbnb rental in the town of Riviere-Salee. The town's central location on the south side of the island gave us maximum flexibility, and the 2 bedroom apartment we rented had a lovely view of the valley below leading down to Fort de France Bay. 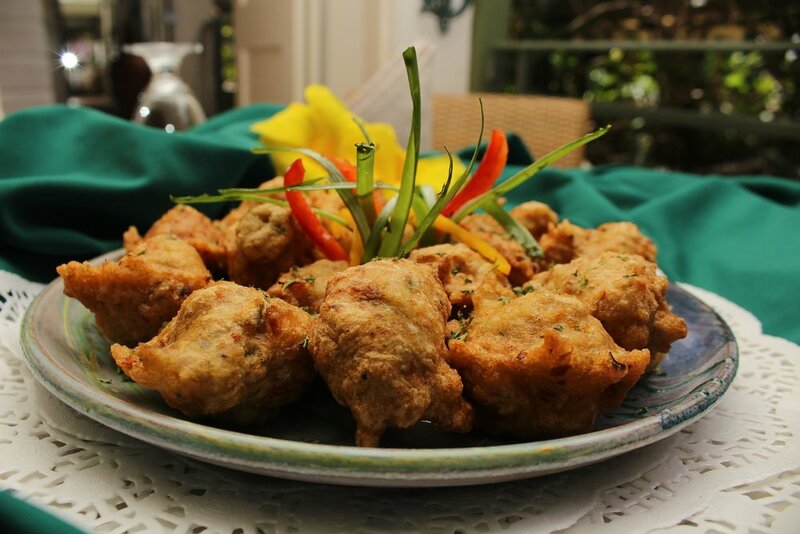 As a nice welcome, our host, Roger, provided us a home cooked meal of chicken, rice and cod fritters! What to do on the island? Martinique's mountainous terrain makes for a beautiful landscape to explore by land or sea. Our first day, we were excited to go check out the beach and snorkeling at the side-by-side coves of Anse Dufour and Anse Noire. The water was calm and clear, and the sea grass beds and small rocky reef on Anse Dufour attracted many species of fish, a handful of squid, and even a few turtles. Anse Noire's black sands are unique on the island, and the waters swirled with schools of fish around the dock, though the beach has fewer amenities than Dufour next door. 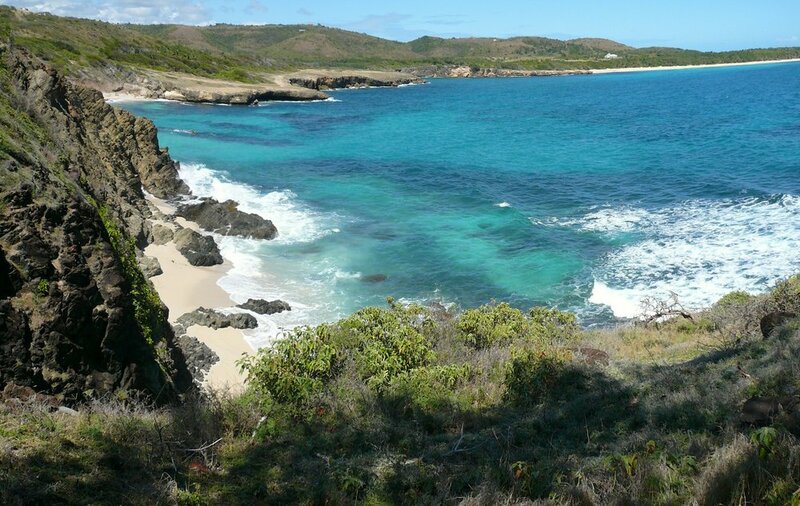 For our second day, we decided to drive to the northeast side of the island to hike around the Caravelle peninsula. The loop hike took us up to scenic views from the lighthouse atop the bluff, then around to some craggy inlets, along cliffs overlooking the water, and finally through a mangrove forest home to some charming but shy forest crabs. As we finished our day hike, a brilliant local woman had set up an ice cream van at the exit to cool us off! We finished our day by driving down to one of Martinique's most famous beaches, Grande Anse du Diamont, to watch sunset over the Diamond Rock. The next morning, we packed up and headed to the airport again, our weekend sadly completed. We left Martinique wanting to come back and explore some more, from hiking in the jungle on the slopes of Mount Pelee to relaxing on the beach at one of Martinique's fabulous resorts. We felt like a weekend was barely enough to scratch the surface of everything the island has to offer. Pricing Info: Our international surprise trip packages start at $1200/person for 3 nights. 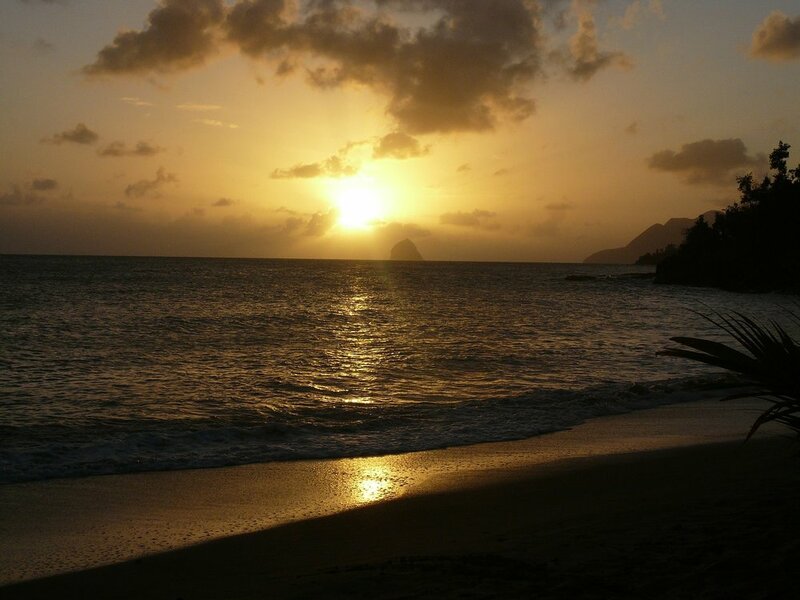 A surprise weekend in Martinique could be in your future!